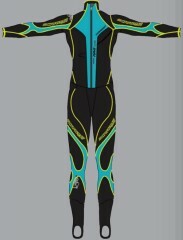 As one of the most popular race suits in Europe, the Crazy Idea Top NRG (short for energy) is about as accomplished as a suit can get. It provides some light compression benefits such as increased blood flow, oxygen transportation, and lactic acid flushing. The entire suit is made of Powerkler, which they have dubbed the “thermos-sensitivity bio-activation textile” and, just like those shiny wristbands everybody used to wear, is magically performance enhancing. We’re not entirely sure how it works, but if you’d like to take a crack at it, help yourself. Outside of just using a fancy fabric, the Top NRG is well constructed and efficiently designed. Internal skin pockets are accessed by way of one main zipper that features a top and a bottom pull tab while a large external dump pouch is big enough to fit race skins. Plan on fast transitions. A mesh back panel wicks sweat and vents heat away underneath a pack. The shoulders feature reinforcement panels for increased abrasion-resistance underneath your pack straps. A small sleeve stitched into the chest allows for integrated soft-flask storage. 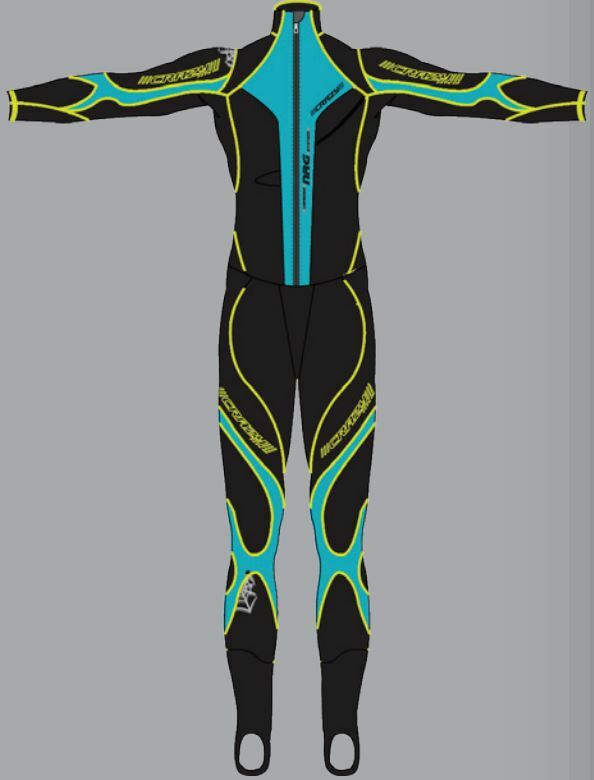 All the buzz-words, marketing, and flashy colors aside, the NRG is the suit all other race suits aspire to be. Plus, it’s strategically bedazzled in a few key locations because, why not? Stirrups, reinforced buckle cutouts, and an instep buckle hook keep the elements out. Flat-lock seams are stitched externally for maximum comfort and chafing resistance. Soft flask storage on the chest for easy access to hydration during a vertical race or resort laps. Crotch flap allows for quick nature breaks using a SheWee, though at 25g we are still waiting on the carbon fiber version. Zippered internal beacon pocket so it’s ISMF compliant.